Excellence in Entertainment.. DJ's, MC's, Event Planning! Company Parties, Holiday Events, Casino Nights, Event Decorating and MORE from jB JAMS Entertainment & Events! “More than just a DJ”, we will help you ensure the integrity and success of the event while fulfilling your goals. jB JAMS Offers turnkey event inclusions, from assistance in finding the perfect venue, to fulfilling all of your event needs. We utilize proven vendor partners who all share our customer service goals, and will look to exceed your expectations! Company Holiday Parties, Corporate Family Picnics, Anniversary Celebrations, Awards Ceremonies, Grand Openings, Ground Breaking, Company Employee Meetings, Live Sound Support, Conferences, Audio / Visual- Projection and screens, Photo Booth- Green Screen, Head Shots, Event Decorating, Casino Night, Game Shows for entertainment or for training....and so much more! Used for many purposes, team building activities can be used to accomplish any goal you desire! From just having fun to purposeful goal-driven activities, your jB JAMS event specialists will fully customize your Team Building activities to suit your specific needs! A Corporate Game Show can be fully customized to your needs. We have utilized them for employee testing and training, and for fun at intermission during an employee meeting, as well as a side bar during the dancing at the annual Holiday party! Easy to challenging, we will again personalize the program to get the most BANG for your buck! We will act as host and MC (Master of Ceremonies) so you don't have to be the main presenter! Corporate Decorating... Highlight a special occasion or any milestone in many creative ways! 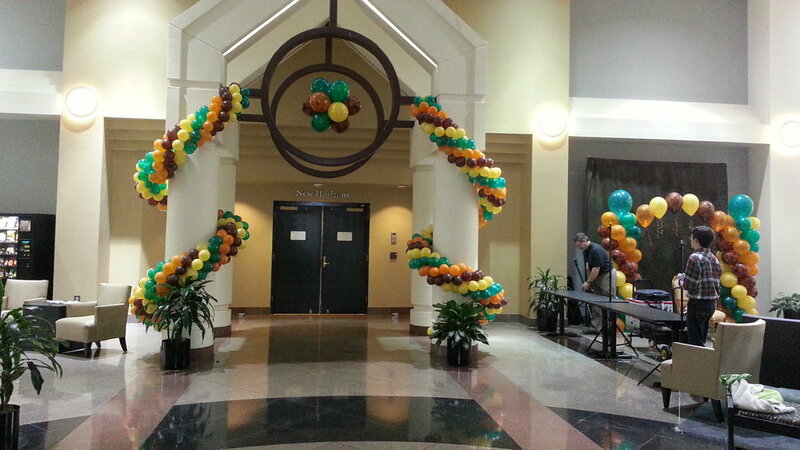 Decorating for your company event or milestone is another of our specialities! From Open Houses, to grand openings and Holiday parties, our event decor and lighting team will work hand in hand with you to amaze your guests! jB JAMS Entertainment & Events working out of Gainesville GA, but traveling throughout the United States is primarily a DJ company specializing in DJ and MC for weddings, Corporate DJ and hosts, DJ for parties. Offering Photo Booth in Gainesville GA and Photo booth in north georgia, up lighting for any venue and prom decorating, homecoming decorating, corporate decorating, and much more! Click on the award to read our reviews!! We are constantly working to raise the bar on our services. If you have any questions or concerns about booking your next event, please let us know. Call / Text / Email Us! April 8th Wedding Video from WedFlix! It was such a pleasure to work with you! jB JAMS introductions around 3:45, then party scenes throughout!